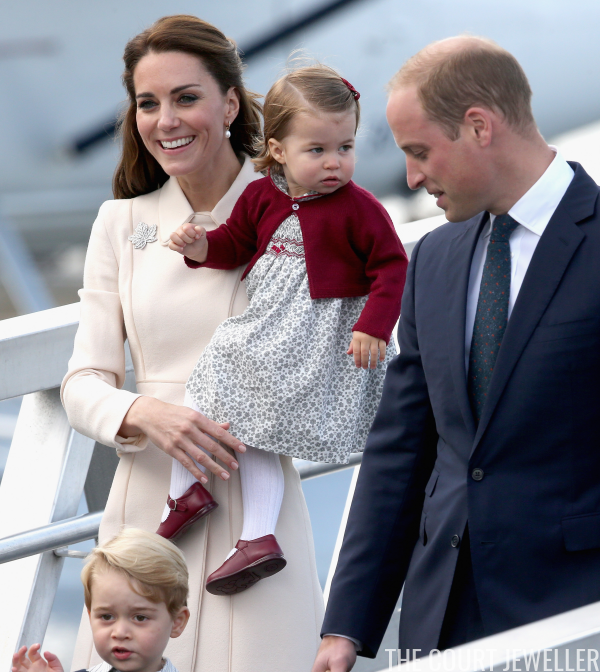 The 2016 Cambridge royal tour of Canada is officially finished! 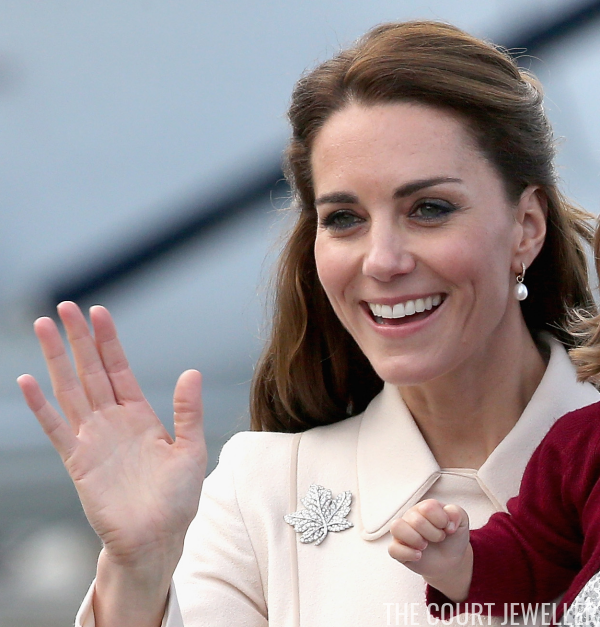 Let's have a look at the jewelry that Kate wore during the family's airport farewell. 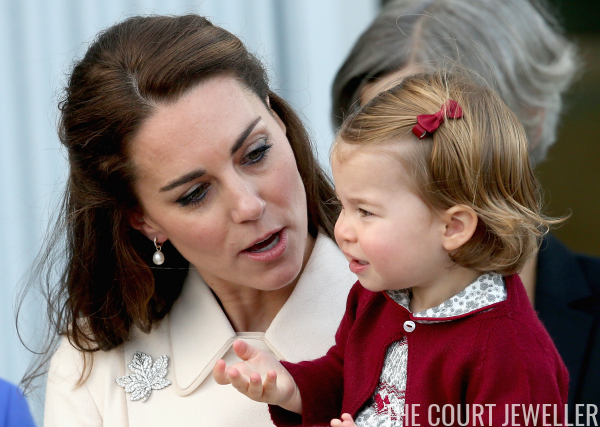 Kate wore the same earrings -- Annoushka pearls with Kiki McDonough drops -- that she'd worn earlier in the day during a series of engagements in Victoria. 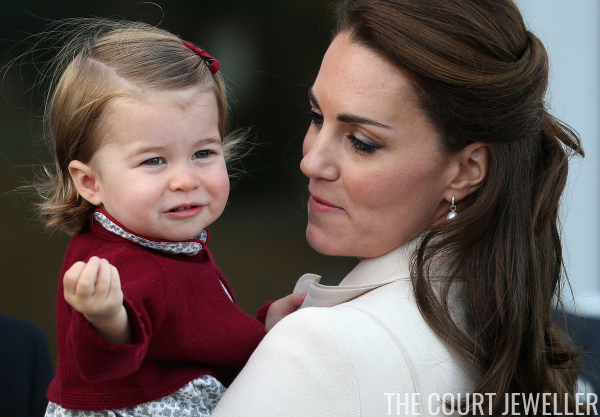 Hope you've enjoyed our bejeweled coverage of this royal tour! Stay tuned here for two more wrap-up posts on the jewels of this week's Canadian tour, which will be posted here tomorrow and Monday!